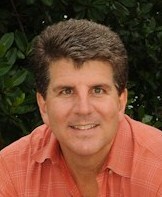 Dr. Thomas Maurno was born and raised in Coral Gables, Fl., where he graduated from Coral Gables High School. Dr. Maurno recieved his bachelors degree in Biological Sciences from Florida State University before attending Life University's Doctor of Chiropractic program. Dr. Maurno became a licensed chiropractor in 1997 and began what is now 14+ years of post-graduate education in SOT(sacro-occipital-technique) and is a certified SOT practitioner. After studying Applied Kinesiology, Thompson, Upper cervical, Logan Basic, Activator,CBP, BEST, Network Spinal Analysis, Diversified, Extremity techniques, and Sports injuries, Dr. Maurno now customizes different chiropractic techniques to match the needs of his patient. Dr. Maurno utilizes gentle chiropractic care, low level laser therapy, nutrition, core stability training, and lifestyle coaching to holistically balance the body. Dr. Maurno has been married to his lovely wife,Sharon, for 14 years and has three children, Zachary, Kyle, and Taylor. Sunset Chiropractic is a family based office that strives to deliver the best care available and educate individuals and families about healthier, natural choices in healthcare and lifestyle. Our office provides gentle chiropractic care, massage therapy, cold laser therapy, nutritional advice, food allergy testing, core stability training and overall wellness coaching.